· An Order of Appearance is on this note. Please be aware that parents are required to change students if they are involved in more than one routine or make own arrangements to have another parent dress and change your child. 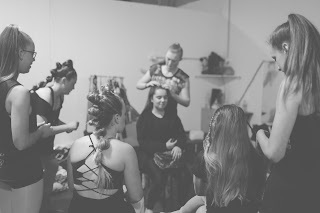 · Students appearing in the first half are asked to be at the venue by 1pm (2pm Saturday show) 10.15am (11am show) & 4.15pm (5pm show)fully dressed, with hair & make up done for first routine. Please enter through back stage entrance ( Carrington Ave), locate your name ( in class rolls- as per order of appearance) and mark your name off. Students will be supervised in large dressing room and called forth by our Stage Manager for their appearance. Our first half of our program is timed for one hour and fifteen mins. All Angelina students will appear in a special Tiny Tots finale at the close of first half. There will then be a twenty minute interval. If watching the show please collect your child at interval if they have a ticket. Students only appearing in first half and who don’t have family in attendance can be collected to go home. 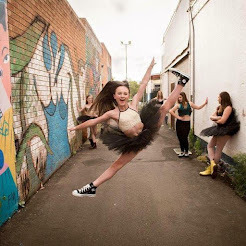 · Parents leaving auditorium to dress performers throughout performance will be granted Back of House access through a door located near Door 1. ( foyer area past toilets) We ask that you exit the auditorium from Door 2 and 3 only to gain access to this door to back stage. Exiting from these doors will ensure minimum disruption to performers and patrons. Please acquaint yourself with this door before the performance commences. Likewise, students will need to follow same procedure if leaving auditorium to go backstage for a performance or change of costume. This will only be possible if we have sufficient volunteers for each show to man the access doors. Otherwise parents will need to walk around to Backstage entrance. · Students who have tickets to watch are permitted to leave backstage area after they have performed. All students must sign out on class roll and Students under 12 years of age must be collected from backstage area /dressing rooms/ Oxley Room by a parent or guardian. We ask only one representative per student for collection due to the limited space and size of our cast. · ALL students will be reappearing in the Finales’ but it is at discretion of parents for young students if they stay for all shows or if they return home for a rest. Students will be notified via a voice over when it is time to return backstage for FINALE’. The 2016 Presentation will follow the 5pm Performance. We would really like to acknowledge all students and have them present for Presentation. Tiny Tot students will be presented on the 9th December at a special Presentation. Invites have been sent home. · Refreshments will be served in the bar area. · Classes for 2016 will cease on Sunday, 4th December. There will be no Saturday classes on Saturday, 3rd December. Our little superstars need to prepare for their performance and faculty will be at theatre preparing for a big but exciting weekend. We thank you for the tremendous support and enthusiasm shown by all students and their families throughout 2016 and we look forward to celebrating this in our production. Stepping Out Dance Factory truly is a special place made more so by the beautiful families within our fold. 2016 Enrolment Information will be available soon via an online Enrolment Form and our 2016 Enrolment Days will be advertised in Dubbo Photo News and on our Facebook Page. Private Tuition for Eisteddfods will commence in early January 2016- Please register your interest with Miss Rikki on 041 336 1724. This note will go out from week commencing 21st November so we don't bombard you with too much information. It is here as a reference point. ANGELINA students “LULLABY” – We are aware that due to their young age that some have a little and some have a lot of hair. We ask that you create your own hair style. We would love to see curls. Hair will need to be slicked back from face in whatever style you choose as we need to see their gorgeous little faces under those lights. They will have headpieces. It will need to be pinned. Ballet Shoes. Ballet stockings. ANGELINA “PRINCESSES”- hair in own beautiful Princess style. We need hair slicked back from face but be creative and let your little girl have some input in how she will feel her most glamorous and regal. Ballet shoes. Ballet tights. PRIMARY BALLET “ALADDIN” & PRE-PRIMARY “NUTCRACKER”Hair half up and curled. You pull a section of hair back from the ears and secure tightly with band. Rest of hair curled. Ballet stockings. Ballet shoes. JUNIOR JAZZ 6yrs” ( Monday) Hair in very high ponytail and curled. Jazz shoes. Tan tights. JUNIOR JAZZ 6-8 “Sharpay” ( Thursday) Hair in a very high ponytail and curled. Jazz Shoes. Tan tights. JUNIOR JAZZ Under 8s- (Monday)- Two high pig tails and curled. Tan tights. Jazz shoes. INTERMEDIATE MODERN “MAGIC CARPET RIDE” Hair in bun. Bare feet. Convertible tights. SENIOR MODERN “HALLEJUAH” Hair in low slicked ponytail with side part to right side. Convertible tights. 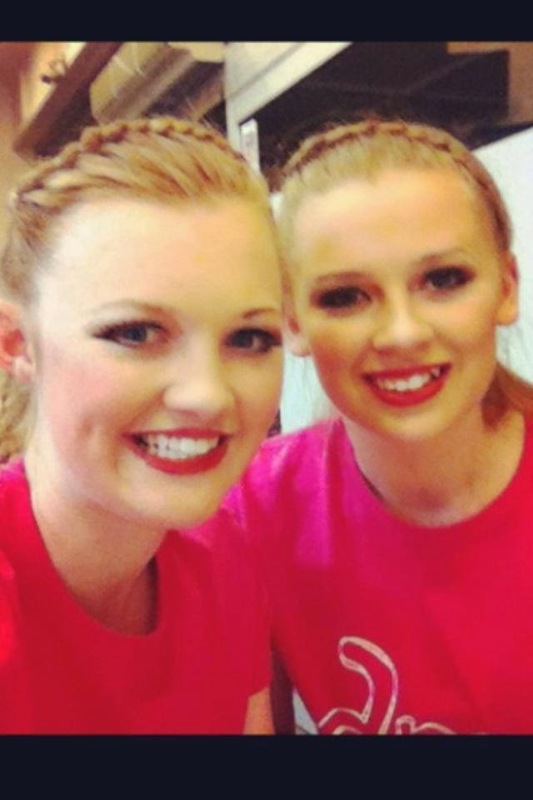 INTERMEDIATE HIP HOP “RHYTHM NATION” Hair in low slicked pony tail. Please purchase black canvas lace up shoes. 10 YRS JAZZ “ BOWIE”- Hair in high ponytail and curled. Matte tan tights. Camel jazz shoes. 12 YRS JAZZ “QUEEN MEDLEY” Hair in high ponytail and curled. Matte tan tights. Camel jazz shoes. 14 YRS JAZZ “ PRINCE” Hair in high ponytail with front quiff. Matte tan tights. Camel Jazz Shoes. SENIOR JAZZ “ MADONNA ” all different hair styles. Matte tan tights. Camel jazz shoes. JUNIOR TAP “ ABBA” A high pony tail curled. Matte tan tights. Camel Tap shoes. We are hoping to have wigs for this group. If they can’t be sourced hair will be as given. INTERMEDIATE TAP “FIFTIES” High pony tail and curled Matte tan tights. Camel tap shoes. SENIOR TAP “ BUSTED” Own neat street hair style Camel tap shoes. 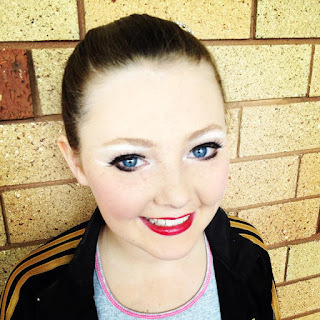 JUNIOR PERFORMANCE ANNIE & HIGHSCHOOL MUSICAL – Girls can have all different hair styles. Matte tan tights. Camel Jazz Shoes for 12 years and bare feet for Annie. Please be aware that both groups need to organize own costumes for these acts. Students need to arrange their own unique bright and colourful jazz costume. We have had groups over the years in great colour schemes so please use those or even solo/ duo costumes. We just want variety, colour and vibrancy. ( can have bling- please do) Please accessorize it sufficiently to give it stage appeal and not just street wear. Hair can be in own, very neat, hair style. 14 years need something that will work underneath their nun’s habits. This year we are holding our dress rehearsals over two afternoons. 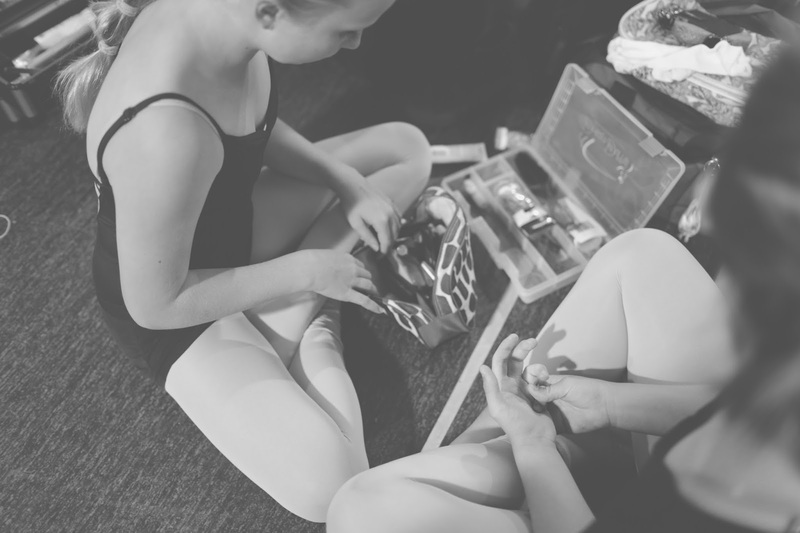 We understand that for some children this will mean they will be required due to their number of classes and segments they are performing in on both afternoons. Please appreciate that every decision we make is in the very best interests of the students. We felt last year that it was far too busy, congested in the back of the theatre and we needed more precious time on stage to ensure that our lighting, sound and other effects will best enhance our students and ensure that it is a magical and memorable time for them. We also appreciate that it’s a busy time of year and people work and there is the rush after school so we understand that the students may not be picture perfect. We know they will look absolutely beautiful on the days of the concert. We do ask that if you are unsure of hair and make up that you do practise on the dress rehearsal days so we can best guide you. This will be an exclusive time slot just for Angelina students. 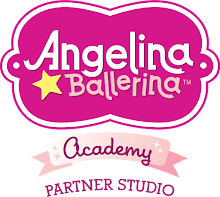 All classes in the Angelina program will be required at this time. Please arrive dressed 15 mins prior to the commencement of the rehearsal so we can settle the students, say their goodbyes and take them into the auditorium. They will be dismissed at 4.30pm and taken through stage doors to meet their parents. We ask only one family member picks them up as there is simply not adequate space for a huge amount of people in the limited area we are given for backstage collection. They are only little so we don’t want them overwhelmed by a huge amount of people waiting. Our Angelina students and Little Stars ( preschool jazz will feature in their own FINALE” which will conclude the first exciting half of our performance. STUDENTS IN THE FIRST HALF OF THE SHOW NEED TO BE AT THE THEATRE BY 4.45pm dressed in costume and ready to perform. All students in the first half will be dismissed at 7.30pm Students will wait in theatre auditorium unless they have costume changes where they will be permitted to access dressing rooms. Students appearing in the second half of the show will need to be at the theatre, fully dressed and ready to go at 3.45pm. Students appearing in the second half will be dismissed from theatre at 7.00pm. They will be sat in theatre auditorium whilst they are waiting but if they have costume changes they will be permitted to access dressing rooms. Thank you to all the generous people who have volunteered to assist us on Concert Days. We will need our volunteers to be inducted by Theatre Staff at 12.30pm Saturday, 3rd December. This will give only those who are our volunteers and assisting in supervision and organisation access to back of house areas of the theatre. · Students are to have their names marked off on their class roll as a sign in for rehearsal. Performers and Parents are NOT permitted in the foyer area of the Theatre. REHEARSALS ARE CLOSED. ( Parents, friends etc are NOT permitted backstage, stage area or within the theatre auditorium.) 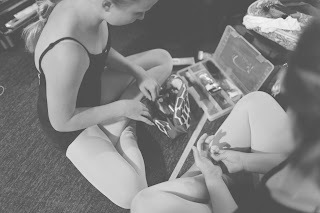 Parents may wait in dressing room areas to assist with costume changes but only if your child has a costume change on that day of rehearsal. Parents of young performers are welcome to stay in the Dressing Rooms Area. Students are fully supervised in theatre. 3.45pm arrival FIRST HALF OF SHOW- ANGELINA STUDENTS ( students to be collected at 4.30pm sharp. STUDENTS IN THE SECOND HALF OF THE SHOW NEED TO BE THERE BY 3.45pm dressed and ready for rehearsals. They can be collected at 7pm. JUNIOR TAP STUDENTS & LITTLE STARS STUDENTS CAN BE COLLECTED AT 6PM BUT ARE WELCOME TO STAY TO REHEARSE FINALE! Any students from the first half of the show who wish to come back for Finale rehearsal are very welcome and that would be between 6-7pm. 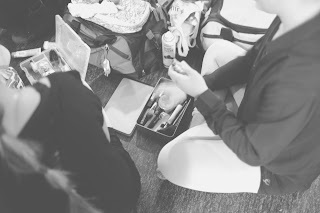 Notes for Concert Day Organisation, Hair & Make Make Up and other exciting information will be given out during class in the weeks leading up to concert. All notes will also be posted on the blog and a link given on our FB page.